THE REACTION OF THE FIFTIES. THE New York Tribune. THE CRIMEAN WAR. THE VIEWS OF MARX AND ENGELS. THE ITALIAN QUESTION. MARX AND ENGELS DIFFER WITH LASSALLE. THE CONTROVERSY WITH VOGT. MARX'S ATTITUDE TOWARD LASSALLE. With the liquidation of the Communist League there came for Marx and Engels a cessation of political activity which lasted for many years. The reaction which had commenced in 1819 was gaining in intensity and reached its climax in 1854. All traces of free political activity were obliterated. Labour unions were strictly forbidden. Free press had perished in the turmoil of 1849. All that was left was the Prussian assembly and even this was frightfully reactionary. Marx and Engels were confronted now with the very serious question of earning a livelihood. We can hardly visualise the distressing material circumstances in which Marx and Engels were at that time. Engels was too proudly recalcitrant to bow to his rich father with whom he had had violent disagreements. He and Marx tried to find some literary work. But Germany was closed to them. In America they had a chance to write for labour organs, but this was not in the least lucrative. It was a splendid opportunity to work without pay. It was then that Marx published in an American paper his most inspired piece of historical writing, The Eighteenth Brumaire of Louis Bonaparte. In it Marx gave a brilliant study of the February Revolution. Step by step, disentangling difficulties, he traced the determining effects of the struggle between the classes upon the fate of the revolution. He showed how various portions of the bourgeoisie, including the most democratic ones, had one after another, some knowingly and maliciously, and others unwillingly and with tears in their eyes, been betraying and selling the proletariat, casting it forth as prey for generals and executioners. He showed how conditions had been gradually prepared so that a vapid nonentity like Napoleon III was able to seize power. Meanwhile Marx's material straits were aggravated. During his first years of residence in London he lost two children, a boy and a girl. When the latter died, there was literally no money with which to meet the funeral expenses. Grinding his teeth, Engels decided to resume his old "dog's trade," as he used to call business. Having found employment in the office of the English branch of his father's factory, he moved to Manchester. At the beginning he was a simple employee. He had still to win the confidence of his father and of the English branch of the firm; he had to prove that he was able to engage himself in a business enterprise. Marx stayed in London. The Communist League was no more. Only a small number of workers remained clustering about the Communist Workers' Educational Society and eking out a precarious living as tailors and compositors. Only at the end of 1851 an opportunity to write for the New York Tribune suddenly presented itself to Marx. The New York Tribune was then one of the most influential papers. Charles Dana, one of the editors of the Tribune, who had been in Germany and who had met Marx during the Revolution of 1848, invited Marx to write a series of articles on Germany for the paper. Dana had been in Cologne and he knew the important position Marx occupied among the German journalists. Having taken to heart the interests of his German readers (German immigration into the United States during the Revolution had greatly increased), Dana decided for their benefit to enlarge the section of the Tribune dealing with Western Europe. This unforeseen invitation brought in its train some embarrassments, for at that time Marx was not yet able to write English. He turned to Engels for help, and a very curious form of collaboration was established. We have already seen that the Communist Manifesto, though it appeared under the joint names of Marx and Engels, was overwhelmingly the work of Marx. Engels' contribution to it was almost as little as had been his contribution to their common work, The Holy Family. Now it was Engels who performed the major task. His articles were later collected into a separate volume called Revolution and Counter-Revolution in Germany. Marx was credited with this book, but from their correspondence we now know that Engels was the author. However, ideologically it was the common work of Marx and Engels. The latter wrote it on the basis of ideas and facts that were supplied by Marx, and chiefly on the basis of the articles which they had both been writing for the Neue Rheinische Zeitung. Thus began Marx's relations with the New York Tribune. One year later he gained sufficient mastery of the English language to be able to write his own articles. Thus from 1852 Marx had a periodical publication in which he could express his views. Unfortunately, it was not in Europe. The American readers sought from it answers to their own specific questions. Though interested in European events, they were interested in them only insofar as they affected events in the United States of America. In the fifties the most vital, the most absorbing question in the United States was the abolition of slavery. Another burning question was that of free trade as it affected the southern and the northern states. The New York Tribune was an abolitionist paper. But in the free-trade vs. protectionism controversy it stood for a most thoroughgoing protectionism. On the question of slavery Marx was in full accord with this paper. On the second issue Marx could not accept the point of view of the editors. But Europe supplied sufficient material on other subjects. From the Spring of 1853 the tempo of events in Europe began to be accelerated. This acceleration, we must observe, was not caused by any pressure from below. On the contrary, a number of the chief European states, such as Russia, France and England, which were all alike interested in the preservation of order, suddenly began to quarrel. This is characteristic of ruling classes and ruling nations. As soon as they became freed of the dread of revolution, old misunderstandings that had existed among the states of Germany, France, England and Russia again began to rise to the surface. The rivalry, which had been raging among the nations before the Revolution of 1848 and which had only for a time, and through the stress of necessity, been smothered to give place to a common alliance for the suppression of revolution, now flared up again. Russia, who had so successfully helped to restore "order" in western Europe, now seemed to be demanding compensation for her services. She seemed to think that now was the most opportune moment for stretching her paws out to the Balkan peninsula. Her former aspirations gradually to acquire the Turkish dominions in Europe were revived. The clique around the throne of Nicholas I, who deemed this moment auspicious for an aggressive policy, were growing in influence. They hoped that France would not be in a position to offer resistance, and that England, where the Tories were in power, would not interfere, considering the cordial agreement which existed between England and Russia. Thus began the controversy ostensibly about the keys to the Saviour's tomb. In reality the Dardanelles was the bone of contention. A few months had passed, and the situation became so acute that England and France, both unwilling to fight, both feeling that a war could lead to nothing good, were finally forced to declare war upon Russia. The notorious Crimean War which again brought the Eastern question to the front broke out. Marx and Engels now had their opportunity, even though it was in remote America, to interpret the events of the day. Marx and Engels hailed the war. For, after all, the war did mean that the three major powers which had been the mainstay of counter-revolution, had fallen out, and when thieves fall out, honest folks are likely to benefit by it. It was from this angle that Marx and Engels viewed the war. Yet they had to assume a definite attitude with regard to each of the warring parties. Does it follow, however, that Marx and Engels had placed themselves on the side of culture, enlightenment, and progress as against Russia, and that, having declared themselves against Russia, they ipso facto stood for the enlightened and cultured Englishmen and Frenchmen? It would be erroneous to make such a deduction. England and France came in for as much denunciation as Russia. All the efforts of Napoleon and Palmerston to represent the war as a crusade of civilisation and progress against Asiatic barbarism were exposed in the most merciless manner. As to Marx having been a Turcophile, there is nothing more absurd than such an accusation. Neither Marx nor Engels had his eyes closed to the fact that Turkey was even more Asiatic and more barbarous than Russia. They subjected to severe criticism all the countries involved, and they showed no partiality. They had only one criterion -- did or did not any given event, any circumstance under discussion, expedite the coming of the revolution? It was from this point of view that they criticised the conduct of England and France which, as we have pointed out, had been reluctantly drawn into this war and thoroughly disgruntled with the obstinate Nicholas I, who flatly refused to consider any compromises that they proffered him. The fears of the ruling classes were fully justified; the war seemed to drag on. It had been started in 1854 and it was terminated in 1856 with the Treaty of Paris. In England and in France, among the masses of workers and peasants, this war caused great excitement. It compelled Napoleon and the ruling classes of England to make a great many promises and concessions. The war ended with the victory of France, England and Turkey. To Russia the Crimean War gave the impetus for the so-called "great reforms." It proved how a state based on the antiquated system of serfdom was incapable of fighting capitalistically developed countries. Russia was forced to consider the emancipation of the serfs. One more jolt was needed finally to stir a Europe which had fallen into a state of coma after the explosive 1848-1849 epoch. Let us recall that Marx and Engels, when they broke away from the Willich-Schapper group, had declared that a new revolution was only possible as the result of a fresh powerful economic shock, and that just as the Revolution of 1848 had resulted from the crisis of 1847, so would the new revolution come only as the result of a new economic crisis. The industrial boom that had started in 1849, acquired such a sweep toward the early fifties that even the Crimean War was not able to inflict a serious blow to it. It began to appear almost as if this boom would be of endless duration. Marx and Engels were confident in 1851 that the next crisis was due not later than 1853. On the basis of their past researches, primarily those of Engels, they held to the opinion that crises were periodic dislocations in the realm of capitalist production, and that they recurred in from five to seven-year intervals. According to this estimate, the crisis which was to follow the one of 1817 was to be expected about 1858. But Marx and Engels made a slight error. The period within which capitalist production goes through the various phases of rising and falling proved to be longer. A panic broke out only in 1857; it assumed unheard-of dimensions, so malignant and widespread did it become. Marx rapturously greeted this crisis, though to him personally it brought nothing but privation. The income which Marx had been deriving from the New York Tribune was not particularly imposing; at first ten and later fifteen dollars per article. Still, in comparison with the first years of his sojourn in London, this income plus the assistance from Engels, who used to take upon himself a great deal of the work for the American newspapers, gave him a chance to make both ends meet. He could even find time, despite his constant working on Capital, to write, without remuneration, articles for the central Chartist organ, the People's Paper. With the panic of 1857, conditions grew considerably worse. The United States was the first to suffer. The New York Tribune had to reduce its expenses; foreign correspondence was reduced to a minimum. Marx again became encumbered with debts and again had to look for sporadic earnings. This lean period lasted until 1859. Then came a respite. Finally, in 1862, Marx's work for the Tribune came to an end. But if in his personal affairs Marx was unfortunate (during this period other misfortunes fell upon him), in his revolutionary outlook he never was more optimistic than after the year 1857. As he had foreseen, the new economic crisis brought to life a number of revolutionary movements all over the world. The abolition of slavery in America and the emancipation of the serfs in Russia became most crucial problems which demanded immediate solution. Bourgeois England had to strain all her resources in her struggle with the vast uprisings in India. Western Europe too was in a state of commotion. The Revolution of 1848 had left a few unanswered questions. Italy remained disunited. A large section of her northern territory remained in the hands of Austria. Hungary was crushed with the aid of Russian bayonets and was again chained to Austria. Germany persisted as a heap of principalities and kingdoms of different magnitudes, where Prussia and Austria had been incessantly bickering and fighting for dominance, for the so-called hegemony in the union of German states. In 1858 there already began a general rise of the opposition and revolutionary movements in all western European countries. The old unsolved problems were again brought to the fore. In Germany the strife for unification asserted itself once more. The struggle between the party which wanted a Great Germany, which clamoured for the unification of the whole of Germany including Austria, and the "Little German" party which demanded that Prussia be the point around which all the German states with the exception of Austria be united, was still going on. In Italy there was an analogous awakening of national aspirations. In France the panic of 1857 brought in its train the ruin of many inflated enterprises; it affected particularly the textile industries. The petty-bourgeoisie began to show a spirit of opposition. A new vigour was also manifested by the underground revolutionary organisations. The labour movement which had become moribund after the June defeat, was revivified, particularly in the building and the furniture-making trades. Russia, too, received its first capitalist baptism in a series of colossal business failures in Moscow; it now began to hobble along the path of liberal reforms. To rid themselves of internal difficulties the governments, and first of all Napoleon, endeavoured to distract the attention of their peoples by starting up a tinsel show in external politics. Napoleon was reminded by the attempt of the Italian revolutionist Orsini, in 1858, that the police was not always omnipotent. He was forced to take into consideration the popular discontent. To dissipate the revolutionary sentiment of the labouring masses, Napoleon raised the progressive slogan of liberating Italy from the Austrian yoke. He immediately entered into secret agreements with Cavour, the minister of the Sardinian king. The role played by Sardinia in Italy was analogous to that of Prussia in Germany. While the babble of the official press implied that it was all a question of unifying Italy, the actual agreement, upon the basis of which Napoleon had promised to help Sardinia, had an entirely different content; it was not the unification of Italy but the rounding out of Sardinia which was promised Lombardy and Venice. Besides the promise that the Papal Dominions would be left intact, Napoleon was to receive as compensation Nice and Savoy. Napoleon, who was compelled to wriggle between opposition from the left and the clerical party, did not want to quarrel with the Pope and was therefore against an actual unification of Italy. On the other hand, he hoped that the acquisition of two new territories would satisfy the French patriots. Thus arose a new and an extremely important political question which perturbed all Europe and especially the revolutionists within the different countries. What attitude were the revolutionists and socialists to assume? Were they to side with Napoleon who had stepped forth almost as a revolutionist, who was advocating the liberal principle of the right of Italy to self-determination, or were they to be on the side of Austria which was the personification of despotism, which was the oppressor of Italy and Hungary? This was a question of supreme importance. The different answers to this question dictated the different tactics of such revolutionists as Marx and Engels on one side, and Ferdinand Lassalle (1825-1864) on the other. Napoleon III and his clique were great adepts at shaping public opinion. Just as during the Crimean War, the market was flooded with a great mass of booklets and pamphlets in which the liberalism of Napoleon and the justice of the Italian cause were most eloquently championed. Many voluntary and a much greater number of mercenary journalists joined this literary campaign. The volunteers were recruited chiefly from among the Hungarian and the Polish emigrants. Just as they had, a few years before, regarded the Crimean War as a war of progress and civilisation against Asiatic despotism and had formed and equipped legions of volunteers in order to aid Palmerston and Napoleon, so did the Hungarian and Polish emigrants, with very few exceptions, maintain now that Napoleon was fighting for progress and for the self-determination of nations, and that it was incumbent upon all forward-looking people to hasten to his aid. These emigrants, among whom there were many who did not disdain Napoleon's money, entered the Italo-French army. Neither was Austria slumbering. She financed the publicists who were trying to prove that in this war Austria was defending the interests of all of Germany, that in case Napoleon conquered Austria, he could seize the Rhine, that if this were the case, it was really Germany and not Italy that Austria was concerned with, that, therefore Austria's retention of her dominion over Northern Italy was for the purpose of protecting Germany. These were the two main channels in which the opinions of European journalism of the time were coursing. In Germany itself the problem was complicated by the controversy between the "Great-Germany" and the "Little-Germany" parties. It was quite natural that the Great-Germanists who wanted the unification of the whole of Germany, Austria included, should lean to the side of the latter, while the Little-Germanists, who pulled toward Prussia, should maintain that Austria be left to her own fate. Of course, there were various shadings, but these did not essentially change the general picture. What then were the attitudes taken by Marx and Engels on the one hand, and by Lassalle on the other? They all held to the principles of the Communist Manifesto. During the Revolution of 1848 they had all declared themselves in favour of a United German Republic, with the German districts of Austria incorporated. It seemed that there was no place for any disagreements. In reality these differences were not any less profound than the differences which arose among the various Social-Democrats who stood on the same Marxian platform at the beginning of the Great War in 1914. Marx and Engels, in their articles and pamphlets, reasoned that in order to protect the Rhine, Germany was not in need of Northern Italy, and that it could very well afford to permit Austria to give up all its Italian possessions to a United Italy, that any attempt to support Austria, supposedly in the interests of Germany, meant a compromise with Austrian despotism. Marx and Engels were consistent. They attacked Napoleon as relentlessly as they lashed Austrian and Prussian reaction. A complete victory for Napoleon, they felt, would be as much of a calamity as a complete victory for Austria. Engels maintained that Napoleon, should he defeat Austria, would also attack Germany. He therefore advanced the idea that the unification of Italy as well as that of Germany should be accomplished by forces within these countries themselves. Revolutionists, according to him, could not consistently support either side. The only thing for them to consider should be the interests of the proletarian revolution. We must not overlook another factor which was looming behind the stage. Engels was pointing out, and justly, that Napoleon would not have dared to declare war upon Austria had he not been confident of the silent consent of Russia, had he not been assured that she would not go to the aid of Austria. He thought it quite probable that in this there existed some sort of an understanding between France and Russia. During the Crimean War, Austria had repaid in "base ingratitude" that same Russia which had so "self-sacrificingly" and so "unselfishly" helped her to strangle the Hungarian revolution. Russia now had obviously no scruples about punishing Austria with Napoleon's hands. If an agreement between France and Russia actually existed by which Russia promised to come to the aid of France, it would be the duty of Germany to hasten to the assistance of Austria, but it would already be a revolutionary Germany. Then the situation would be similar to that upon which Marx and Engels had been counting in the days of the Revolution of 1848. It would be a war of revolution against reaction. The bourgeois parties would not be able to attract to themselves all the lower classes; they would give way successively to ever-more radical parties, thus creating the opportunity for the victory of the most extreme, the most revolutionary party -- the proletarian party. Such was the point of view of Marx and Engels. Lassalle regarded this question differently. To a degree this difference could be explained by the different objective conditions to which these people were directly exposed. Lassalle lived in Prussia and was too closely bound up with the local Prussian conditions. Marx and Engels lived in England, on the watchtower of the world; they considered European events from the point of view of the World Revolution, not only the German, nor merely the Prussian. Lassalle argued in the following manner: To him the most dangerous foe of Germany was the internal foe, Austria. She was a more dangerous enemy than liberal France, or than a Russia which was already in the grip of liberal reforms. Austria was the main cause of the bleak reaction that pressed 80 insufferably upon Germany. Napoleon, though a usurper, was none the less an expression of liberalism, progress, and civilisation. That was why, Lassalle felt, that in this war the German Democracy should abandon Austria to her own fate, and that the defeat of Austria would be the most desirable outcome. When we read Lassalle's writings dealing with this question -- all the compliments he showered upon Napoleon and Russia, the extreme caution he displayed in discussing official Prussia -- we are compelled to make an effort so as not to become confused. We constantly have to remind ourselves that Lassalle tried to speak as a Prussian democrat who wanted to convince the ruling class of Prussia, the Junkers, that no aid should be granted to Austria. But, having donned the cloak of a Prussian democrat, Lassalle really expounded his own ideas which diverged sharply from those of Marx and Engels. Later this divergence took on a graver aspect. Carried away by the desire to attain immediate and tangible success, determined to become a "practical politician," instead of a doctrinaire, he allowed himself to resort to arguments and proofs which placed him under obligations to the ruling party, which inveigled him into flattering those whom he tried to persuade to leave Austria without assistance. Abuse hurled upon Austria, a gentle attitude toward Russia, the coquetting with official Prussia -- all this was so far only the enthusiasm of a publicist who was not writing in the name of the party. The same tactics, however, when they were subsequently carried over by Lassalle into the immediate practical struggle, became fraught with danger. The war between France and Austria terminated differently from what either side expected. At the beginning, Austria, opposed by a lonely Italy, was unequivocally victorious. Later she was defeated by the combined forces of France and Italy. But as soon as the war began to assume a popular character and to threaten an actual revolutionary unification of Italy and the abolition of the Papal district, Napoleon accepted Russian mediation and hurried to crawl out of the war. Sardinia had to be satisfied with Lombardy. Venice remained in the hands of Austria. To compensate himself for French blood and French money, Napoleon helped himself to the whole province of Savoy, the birthplace of the Sardinian kings and, to prove to the famous Italian revolutionist and fighter for a United Italy, Giuseppe Garibaldi (1807-1882), that one must not be misled by the promises of crowned knaves, he annexed Garibaldi's native city, Nice, and its environs. Thus did the "liberal" Napoleon with the thunderous applause of liberal fools and bamboozled revolutionists defend the "right of self-determination" of Italy and other oppressed nationalities. Lassalle, too, was to discover that not only was Napoleon not better than Austria, but that he could run rings about Austria when it came to Machiavellian double-dealing. Italy was left as dismembered as it had been. Only Sardinia became more rounded out. But now something quite unexpected happened. Owing to the disillusionment and indignation resulting from Napoleon's policies, a strong revolutionary movement was started in Italy. At the head was the noble revolutionist, but the bad politician, Garibaldi. In 1861, Italy was changed into a United Kingdom, but without Venice. The further unification of Italy now passed into the hands of bourgeois business men, Garibaldian renegades and adventurers. Marx had to engage in another polemic in connection with the Franco-Austrian war. We have seen that the entire German democracy took a definite stand in this conflict between Napoleon and Austria. The most noted and influential man among the German democrats was the old revolutionist, Karl Vogt (1817-1895), who in 1849 had also been forced to flee to Switzerland. He was not merely active in politics; he was a great savant with a European reputation. He is known as one of the chief exponents of naturo-historical materialism which is so often confused, particularly by bourgeois scholars, with the historical materialism of Marx and Engels. His influence was wide, not only among the German democrats, but also among the international revolutionary emigrants, especially the Polish, Italian and Hungarian. His home at Geneva served as a political centre. For Napoleon it was extremely important to attract to his side the noted scholar and leader of the German democrats. Because of the overweening vanity of the old German professor, this was easily accomplished. Vogt was on a friendly footing with Napoleon's brother, Prince Plon-Plon, who acted the part of a great liberal and patron of science -- Vogt had been getting money from him for distribution among the representatives of the various emigrant groups. When our professor came out most decidedly for Napoleon and Italy, it of course created a tremendous impression among the circles of emigrant revolutionists. As always happens in such cases, among the emigrants that were most closely connected with Marx and Engels, there were some who kept up relations with the republican emigrants. One of the latter, Karl Blind, declared in the presence of a few communists that Vogt was receiving money from Napoleon. This was printed in one of the London papers. When Wilhelm Liebknecht (1826-1900), who was correspondent for an Augsburg paper, reported these rumours, Vogt instituted a case for libel and won, for there was no documentary evidence against him. Jubilant over his victory, Vogt published a special pamphlet about this trial. Being perfectly certain that Wilhelm Liebknecht did not undertake a step, did not write a line without the direction of Marx, Vogt aimed all his blows against the latter. And so this man on the basis of precise data, as he claimed, accused Marx of being at the head of a gang of expropriators and counterfeiters who stopped at nothing. Everything that the imagination of a "sincere" democrat could conjure up was let loose against the communists. A man notorious for his penchant for the comforts of life, Herr Vogt was accusing Marx of living in luxury at the expense of the workers. Vogt's pamphlet, thanks to the name of the author as well as the name of the man he attacked (Marx had just published his Critique of Political Economy), created a sensation and, as was to be expected, met with the most favour able reception from the bourgeois press. The bourgeois journals, and chief of all, the renegade bourgeois scribes who had once known Marx personally, were delighted at the opportunity to spill a pailful of slops upon the head of their old foe. Personally, Marx was of the opinion that the press had a right to criticise any public man it pleased. It is the privilege, he claimed, of every one who appears publicly, to bear praise or condemnation. You are received with stones and rotten apples? It matters little. Ordinary abuse -- and it was flung without end -- he absolutely ignored. Only when the interests of the cause demanded it, did he deign to reply. And then he was merciless. When Vogt's pamphlet appeared, the question of whether or not to answer arose. Lassalle and some other German friends of his circle maintained that the pamphlet ought to be ignored. They saw what a tremendous impression in favour of Vogt was created by the trial he had won. The great democrat, they felt, was inadvertently injured by Liebknecht, and in defending his honour he lost his head a bit. Another trial would only bring him another triumph, for there were no proofs against him. The most advisable thing it seemed, was to ignore him, and to let public opinion become pacified. Such philistine arguments could not, of course, affect Marx. One could disdain answering personal attacks, but the honour of the party had to be defended. Though Marx and his most intimate friends were convinced that Vogt had really been bribed, they found themselves in a quandary, for both Blind and another emigrant renounced now what they had said, and Liebknecht was placed in a position of a slanderer. Finally it was decided to answer. An attempt to get Vogt before a court of justice proved futile because of the partiality of the Prussian courts. The only way out was a literary attack. Marx took upon himself the execution of the difficult task. We are now approaching a point where we are again forced to strongly disagree with the late Franz Mehring. In his opinion, Marx could easily have spared himself a great deal of endless worry and effort, and the waste of precious time without any use to the great task of his life, had he simply refused to take any part in the quarrel between Liebknecht and Vogt. But such a course would have been entirely at variance with Marx's actions. Mehring overlooked completely the fundamental controversy that had been going on among the emigrants. He did not discern that behind this, what appeared to be a personal incident, there were concealed profound tactical disagreements which had sprung up between the proletarian party and all bourgeois parties, that even within the proletarian party itself, as the case of Lassalle indicated, there were revealed dangerous oscillations. Nor did Mehring notice that the book against Vogt contained a criticism of all the arguments of Lassalle and his confreres. Let us turn to the book Herr Vogt itself. From the literary point of view it belongs to the best of Marx's polemical writings. We should add that in all literature there is no equal to this book. There was Pascal's famous pamphlet against the Jesuits. In the literature of the eighteenth century there were Lessing's pamphlets directed against his literary adversaries. But all these, as well as other known pamphlets, pursued only literary aims. 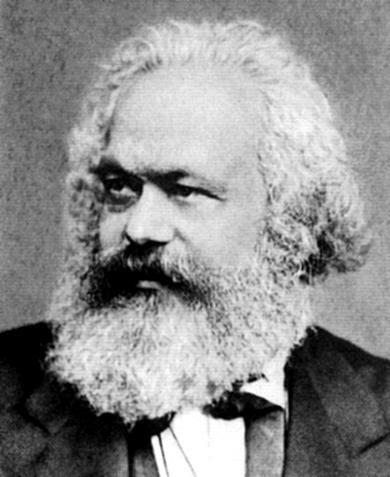 In Herr Vogt, Marx's objective was not merely the political and moral annihilation of a man greatly respected by the bourgeois world for his scholarly and political attainments. True, this job, too, Marx fulfilled most brilliantly. All that Marx had were the printed works of Vogt. The star witnesses retracted their statements. Marx, therefore, took all the political writings of Vogt and proved that he was a Bonapartist and that he had been literally reiterating all the arguments that were developed in the writings of agents bought by Napoleon. And when Marx came to the conclusion that Vogt was either a self-satisfied parrot idiotically repeating the Bonapartists' arguments or possibly a bought agent like the rest of the Bonapartist publicists, one is ready to believe that by and by history will bring to light Vogt's receipt for the money he received. But Marx did not confine himself to political scourging. His pamphlet was not mere abuse interspersed with strong words. Marx also directed at Vogt another weapon of which he was a past master -- sarcasm, irony, ridicule. With each chapter, the comical figure of Herr Vogt was brought into greater relief. We see how the great savant and the great political worker is converted into a boastful, garrulous Falstaff, prone to have a gay time on some one else's money. But behind Vogt there loomed the most influential part of the German bourgeois democracy. Marx, therefore, also exposed the political miserliness of this "flower" of the German nation, bearing down upon the heads of those who, in spite of their proximity to the communist camp, could not free themselves of obsequiousness before the "learned ones." Vogt's base attempt to pour filth upon the neediest and most radical faction of the revolutionary emigrants afforded Marx the opportunity of drawing the picture of the "moral" and "proper" bourgeois parties, those who were in power as well as those in opposition, and particularly, of characterising the prostituted press of the bourgeois world, which had become a capitalist enterprise deriving a profit from the sale of words, as some enterprises derive it from the sale of manure. Even in Marx's lifetime, students of the decade between 1849-1859 acknowledged that there was no other work that had such an insight into the parties of this epoch as did this work of Marx. A present-day reader, no doubt, would need many commentaries to grasp all the details, but anyone would easily understand the political significance that Marx's pamphlet had at the time. Lassalle himself had to admit that Marx wrote a masterpiece, that all fears had been idle, that Vogt was forever compromised as a political leader. In the late fifties and the early sixties, when a new movement had started among the petty-bourgeoisie and the working class, when the struggle for influence upon the urban poor was becoming more intensified, it became important to establish that not only were the representatives of the proletarian democracy intellectually not inferior to the most outstanding figures of the bourgeois democracy, but that they were infinitely superior. In the person of Vogt, the bourgeois democrats received a mortal blow to the prestige of one of its acknowledged leaders. It remained for Lassalle to be thankful to Marx for the latter's making it easier for him to carry on the fight against the progressives for the influence upon the German workers. We shall now pass to an examination of a most interesting question -- the attitude of Marx and Engels toward Lassalle's revolutionary agitation. We have already indicated that Lassalle began his agitation in 1862, when the conflict pertaining to the method of fighting the government became very sharp within the ranks of the Prussian bourgeois democracy. It happened that in 1858, the old Prussian King who had so notoriously distinguished himself during the 1848 Revolution, became completely and hopelessly insane. Wilhelm, the "grapeshot prince," who had achieved infamy by his slaughter of the democrats in 1819 and 1850, was first appointed Regent and finally King. At the beginning he felt compelled to strike up a liberal tune, but very soon he found himself at odds with the Assembly on the question of army organisation. The government insisted on increasing the army and demanded heavier taxation, the liberal bourgeoisie demanded definite guarantees and the controlling power. On the basis of this budget conflict, problems of tactics arose. Lassalle, personally still closely bound up with the democratic and progressive bourgeois circles, demanded more decisive tactics. Since every constitution is only an expression of the factual interrelation of forces in a given society, it was necessary to initiate the movement of a new social force directed against the government, headed by the determined and clever reactionary Bismarck. What this new social force was, Lassalle pointed out in a special report which he read before the workers. Devoted to a presentation of the "connection existing between the contemporary historical epoch with the idea of the working class/index.htm" it is better known by the name of The Workingmen's Programme. In substance it was an exposition of the fundamental ideas of the Communist Manifesto, considerably diluted and adapted to the legal conditions of the time. Still, since the Revolution of 1848, it was the first open declaration of the necessity of organising the working class into an independent political organisation sharply marked off from all, even the most democratic, bourgeois parties. Lassalle thus stepped forth to meet the movement which arose independently and grew very rapidly among the workers of Saxony, where strife had already sprung up among the democrats and the few representatives of the "old guard" of the proletarian movement of 1818. Among these workers the idea of calling together a congress of workers was already being debated. A special committee was organised at Leipzig for this purpose. Having been called upon by this committee to declare himself upon the questions of the aims and the problems of the working-class movement, Lassalle developed his programme in his Open Letter addressed to the Leipzig committee. After subjecting to a severe criticism the programme of the bourgeois progressives and the means they were proposing for the amelioration of the workers' conditions, Lassalle advanced the idea of the indispensability of the organisation of an independent party of the working class. The principal political demand, upon the realisation of which all the forces had to concentrate, was the winning of universal suffrage. As to his economic programme, Lassalle, relying upon what he called the "iron law of wages," proved that there were no means of raising wages above a definite minimum. He therefore recommended the organisation of producing co-operatives with the aid of credits granted by the government. It is obvious that Marx could not accept such a plan. Lassalle's efforts to draw Marx to his side proved futile. There were other reasons which took on definite form only a few months later when Lassalle, carried away by "practical politics/index.htm" and his struggle against the progressive party, almost stooped to a flirtation with the government. At any rate, it is beyond any shadow of a doubt -- and this was recognized by Marx himself -- that it was Lassalle who after the prolonged spell of reaction from 1849 to 1862 planted the proletarian banner on German soil, that it was he who was the first organiser of the German working-class party. This was Lassalle's undeniable service. But in Lassalle's very intensive though short-lived -- it lasted less than two years -- organisational and political activity there were radical defects which, even more than his inadequate programme, were bound to repel Marx; and Engels. It was very conspicuous that not only did Lassalle not underline the connection between the General German Labour Union which he organised and the old communist movement, but, on the contrary, most vehemently denied any connection. Having borrowed most of his basic ideas from the Communist Manifesto and other works of Marx, he most diligently avoided any reference to them. Only in one of his very last works does he quote Marx, not the communist, not the revolutionist, but the economist. Lassalle explained this by tactical considerations. He did not wish to frighten away the insufficiently conscious masses which had to be freed from the spiritual custody of the progressives, who continued spreading fairy tales of the terrible spectre of communism. Lassalle was vainglorious; he loved all kinds of din, parade, and advertisement which act so powerfully on the uncultivated mass, and which repel the educated worker. He enjoyed being depicted as the creator of the German labour movement. It was this that repelled not only Marx and Engels but also all the veterans of the old revolutionary movement. It is significant that only the former Weitlingites and Marx's factional opponents joined Lassalle. Not one year had passed ere the German workers discovered that their movement was started not by Lassalle alone. Marx and his friends protested against this desire to liquidate all bonds with the old revolutionary and underground movement. This reluctance to compromise himself by his connections with the old illegal group was also explained by Lassalle's weakness for real politik. The other point of disagreement was the question of universal suffrage. This demand had been advanced by the Chartists. Marx and Engels had also been propounding it, but they could not recognise the exaggerated importance which Lassalle was attaching to it, or the arguments which he was advancing. With him it became a miracle-working panacea, sufficient in itself, and which independently of other changes in the political and economic life would immediately place the power in the hands of the workers. He naively believed that the workers would win about ninety per cent of all the seats in Parliament once they had the vote. He did not understand that a number of very important conditions were prerequisite for the rendering of universal suffrage into a means for class education instead of a means for the deception of the masses. Not less profound was the disagreement as to the question of "producers' associations." For Marx and Engels they were then already a subsidiary means of very limited significance. They were to serve as proof that neither the entrepreneur nor the capitalist was an indispensable factor in production. But to view co-operative associations as a means for a gradual taking over by society of the collective means of production, was to forget that in order to accomplish this it was necessary first to be in possession of political power. Only then, as had been indicated in the Manifesto, could a series of necessary measures be effected. Just as sharply did Marx and Engels disagree with Lassalle on the role of trade unions. Completely overestimating the significance of co-operative producers' associations, Lassalle considered as absolutely useless the organisation of trade unions, and in this respect he harked back to the views of the old utopians who had been subjected to a most thorough criticism in Marx's Poverty of Philosophy. Not less profound and, from the practical side, even more important was the disagreement in the domain of tactics. We have not the least right to accuse Marx, as did Mehring, of overestimating the significance of the progressives, of placing too great a hope in the bourgeoisie. We have already had occasion to read Marx's characterisation of the Prussian bourgeoisie written by him as a result of the experiences of 1848. We have seen how severely he criticised the bourgeois. democracy in his polemic against Vogt. The difference arose not because Marx, torn away from his native land, still retained faith in the progressivism of the Prussian bourgeoisie, while Lassalle, better acquainted with Prussian realities, was thoroughly disillusioned in them. It was a disagreement concerning the tactics in relation to the bourgeoisie. Just as in a war between capitalist states, so in the struggle between the progressive bourgeoisie and Bismarck, was it necessary to work out tactics which would remove t-he danger of the socialists becoming catspaws of one of the conflicting parties. In his onslaught against the Prussian progressives, Lassalle was forgetting that there was still a Prussian feudalism, a Prussian Junkerdom, which was not less inimical to the workers than the bourgeoisie. He beat and lashed the progressives with good reason, but he did keep himself within the necessary bounds and only compromised his cause by toadying before the government, Lassalle did not even hesitate to resort to wholly unpermissible compromises. When, for instance, some workers were arrested, he suggested that they address a petition to Bismarck, who, no doubt, would release them just to spite the liberals. The workers refused to follow Lassalle's advice. A study of his speeches, particularly those delivered during the first half of the year 1864, reveals a multitude of such errors. We shall not dwell on the negotiations which Lassalle, without the knowledge of the organisation, was conducting with Bismarck, thus exposing his own reputation and the cause which he served to serious injury. These were the differences which prevented Marx and Engels from giving the authority of their names in support of Lassalle's agitation. But -- and this we emphasise -- while refusing Lassalle their support, they nevertheless refused to oppose him openly. Their influence upon their coworkers in Germany, Liebknecht, for instance, was in the same spirit. Meanwhile Lassalle, who greatly prized their neutrality, was precipitously rolling down an inclined plane. Liebknecht, as well as other comrades from Berlin, and the Rhine province, was demanding of Marx to come out openly against Lassalle's erroneous tactics. It is quite likely that it would have come to an open rupture had not Lassalle been killed on August 30, 1864. Four weeks after his death, September 28, 1864, the First International was founded. This gave Marx a chance to return to immediate revolutionary work, this time on an international scale.